The third and final installment of Baetis emergers, this post is about the legendary Barr emerger. John Barr has developed some great flies. Every one that I have tried has caught fish. But that is not to say they are all easy to tie. I’m sure he can whip them out by the dozens, but they have lots of steps with multiple materials. This is fine during the winter doldrums when I am fighting the shack nasties, holed up in my man cave plodding along tying to fill my fly boxes. But if I need to replace some flies during the summer, I am always in a hurry. It is the night before a trip or even worse, early in the morning and I remembered I lost the last one on an acrobatic rainbow. 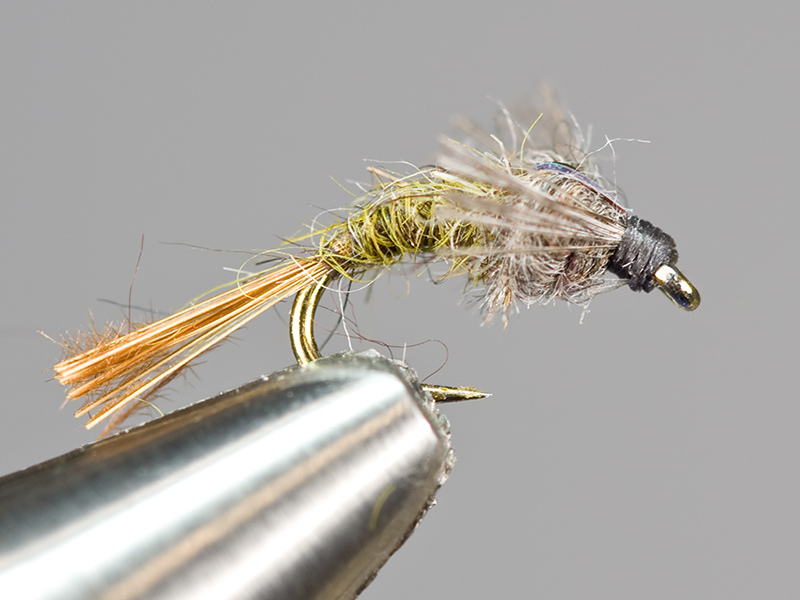 At those times, I just can’t make myself go through 15 steps for a size 18 fly. It just ain’t going to happen. (This from the same guy who walks 300 yards down a steep embankment to cast to a plunge pool because he has never tried it.) I am not saying my logic if for everyone. Just for me. But I have had times when I’ve fooled fish with Barr’s Emerger that had turned up their snouts to a Krystal Flash emerger or a pheasant tail nymph. So I keep a few Barr patterns in my box for back up. I just don’t start with it. So you be the judge. Tie some up. Fish it against the other flies and decide for yourself which fly works best for you. Then tinker with them to make them your own. That’s what it is all about. Step by step instructions are here. Thanks for the fine fly. I have been using a cream hackle on mine, with a crystal bead in size 18, and in my area of Colorado it covers both a PMD and a BWO. That’s a great idea. I’ll try it. Around here the PMD’s start the year almost a 14, but by fall they are down to 18.